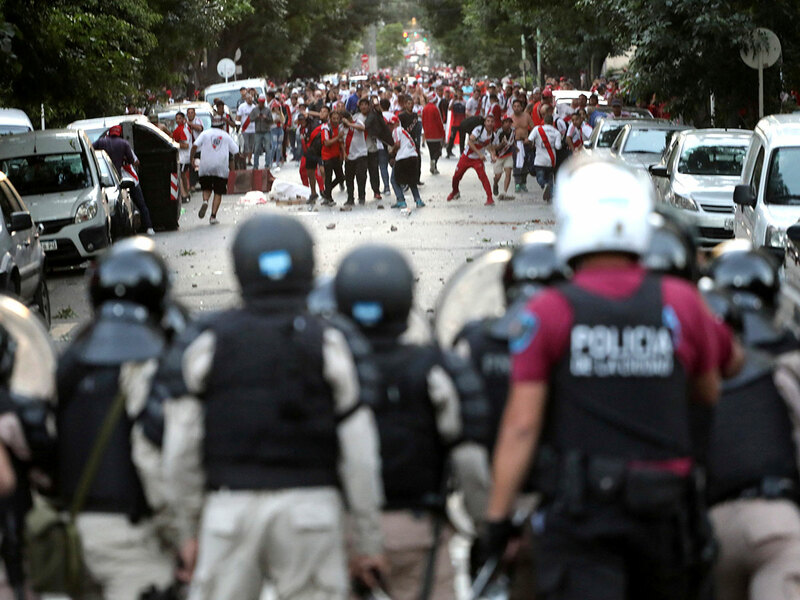 Asuncion: The Copa Libertadores football final between River Plate and Boca Juniors will take place in early December and will be played outside Argentina after crowd trouble forced the game to be postponed last week, organisers said on Tuesday. The South American Football Confederation (Conmebol) said in a statement that the game — the South American equivalent of the Champions League final in Europe — should be played on December 8 or 9, but did not specify an alternative location. After drawing the first leg 2-2, Argentina’s two biggest clubs were due to have met in the decisive second leg on Saturday at River’s Monumental stadium but the match was called off after several Boca players were hurt when their bus was pelted with rocks by River fans. The postponements of what was supposed to have been a gala occasion for South American football was a huge embarrassment to Conmebol and Argentina, which this week hosts a summit of the Group of 20 industrialised nations. The new date will ensure the Libertadores champions can compete in this year’s Club World Cup, which starts on December 12 in the UAE.